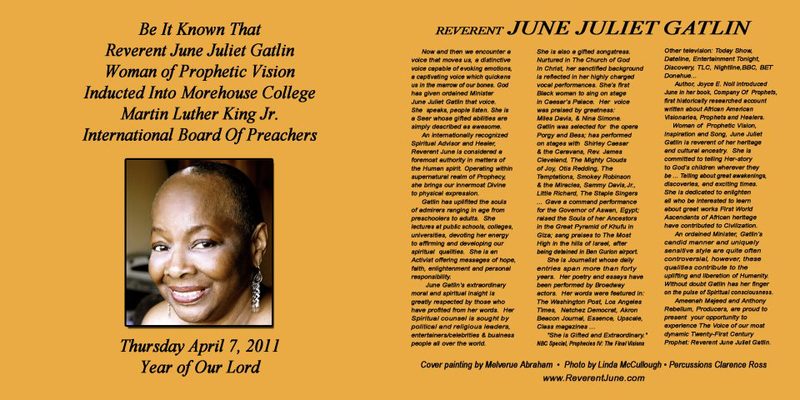 When Reverent June Juliet Gatlin speaks, people listen. An internationally recognized spiritual advisor and healer, Reverent June is considered a foremost authority in matters of the human spirit. Operating within the realm of prophecy and healing, she is a “seer” who brings our innermost feelings to verbal expression. June is a lover of words. She believes words are like musical instruments, creatively used to give exciting entry into new worlds. She acknowledges words as the basic foundation for expressing her existence. Her initial introduction into the world of words began about age three. At three years old, in her birthplace of Akron, Ohio, she was proclaimed to be a child of prophecy by officials of her church. In traditional African culture, a child with “knowing” powers such as June’s was said to be “born with the veil.” Having this early ability contributed to Gatlin’s desire to learn more about how to express what she was sensing. She began to write at age five and continues to the present day, having amassed a lifetime of daily journals and personal communications. “As a child I learned to enjoy the companionship of words, especially reading them. They became my first and best friends,” she says. June uses the power of words to touch the audiences she lectures. Speaking about self-esteem and positive values of personal worthiness, the Reverent encourages youth from preschool age through college to get involved with words—not just reading them, but understanding and experiencing the soul and root of their meaning. June Gatlin has uplifted the spirits of audiences of all ages through lectures in public schools, universities, and churches, where she devotes her energy to affirming and developing spiritual qualities as well as offering messages of hope, faith, enlightenment, and personal responsibility. June’s extraordinary moral and spiritual insight is greatly respected by those who have profited from her words. 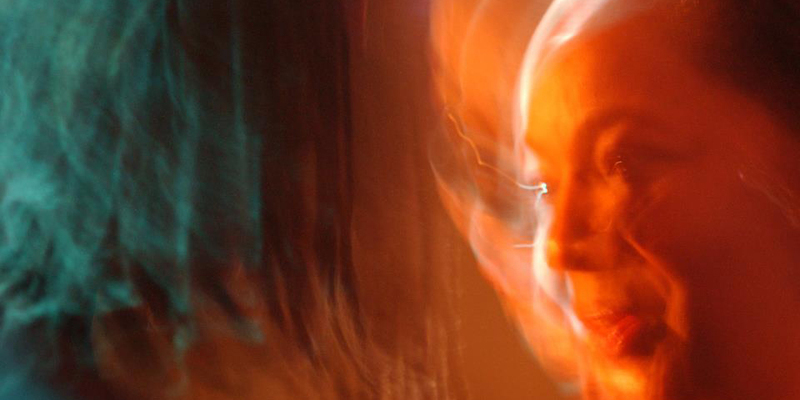 Her spiritual counsel is sought by political and religious leaders, entertainers, celebrities, business people, and distinguished luminaries all over the world. Her candid manner and uniquely sensitive style are often controversial. However, these qualities have contributed to her recognition as a leading authority in matters of the Spirit. June Juliet Gatlin is also reverent of her heritage and cultural ancestry. She is committed to sharing that heritage with God’s children, whomever they are, and she is determined to empower all who desire to learn. Reverent June Juliet Gatlin currently lives in West Los Angeles, where a friendly neighborhood squirrel affectionately known as Chipper visits regularly for her favorite snacks of peanuts and red grapes. Chipper has been known to eat food right from Reverent June’s hand. However, she is usually content to feast on the edge of the balcony, keeping one eye on her food and the other eye cocked on Reverent June and her visitors.